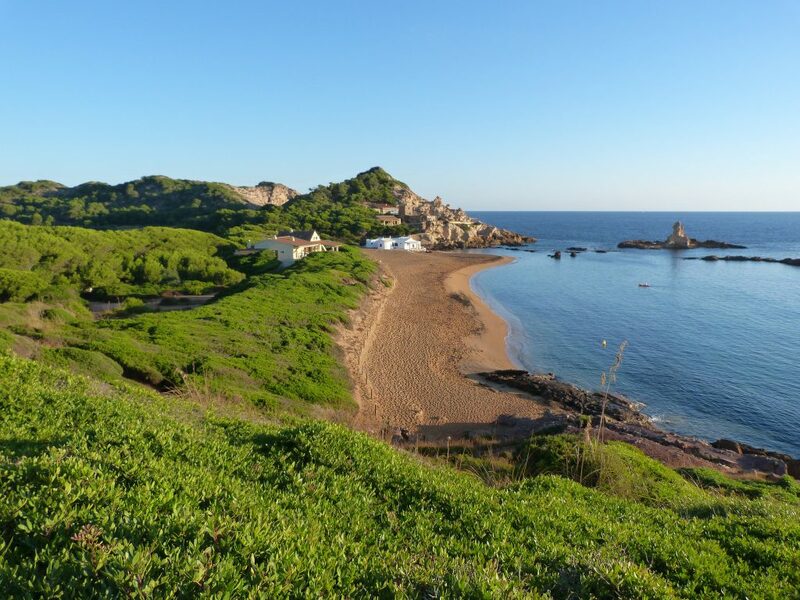 While plenty of holiday makers enjoy the buzz and bustle of the Balearic Islands’ busier beaches, many seek that increasingly elusive stretch of secluded sand with nothing but the sound of waves washing against the shore. Those willing to venture to the more remote spots will be rewarded with just that, and on some of the most idyllic beaches in the world. Here are 10 of our favourites. Unreachable by car, the secluded and sandy Coll Baix could be the setting of Robinson Crusoe. Semi-circled by towering rugged cliffs, this unspoiled cove also offers an idyllic spot for swimming and snorkelling in the turquoise waters. If you are unable to face the challenging and somewhat dangerous hike to get there, hop aboard one of the many boat tours from nearby Alcudia. Cala Llentia is known to a few locals as a tranquil escape from the madness that takes over Ibiza in peak season. The uninhabited island of Es Vedrà can be seen from this beach and is picturesquely framed by the rocky cliffs that overhang this little sandy bay. The access here is slightly difficult, but those that do make the effort will always find somewhere to lay their towel and enjoy the tranquility. This beautiful cove is surrounded by rocky slopes which makes it quite hard to reach. The benefit of this, however, is it remains peaceful throughout the summer season. Soft golden sand and clear water makes this hidden gem a perfect place for snorkelling and exploring underwater caves, though the water can get quite choppy here so not ideal for families. Take cash with you for this one, Cala de Algaiarens is on private property and you will have to pay a small €4 admission fee. 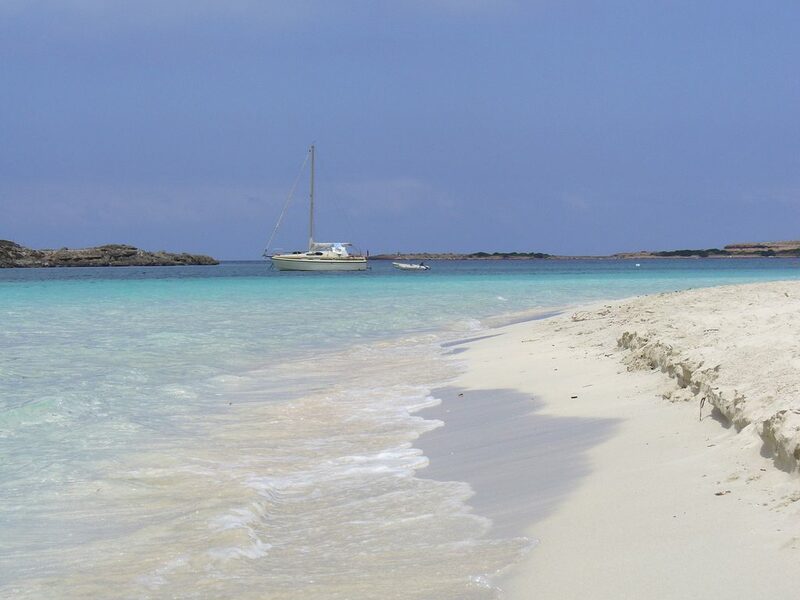 This privately-owned island, which lies to the North of Formentera, boasts scenic and secluded beaches open to the public. 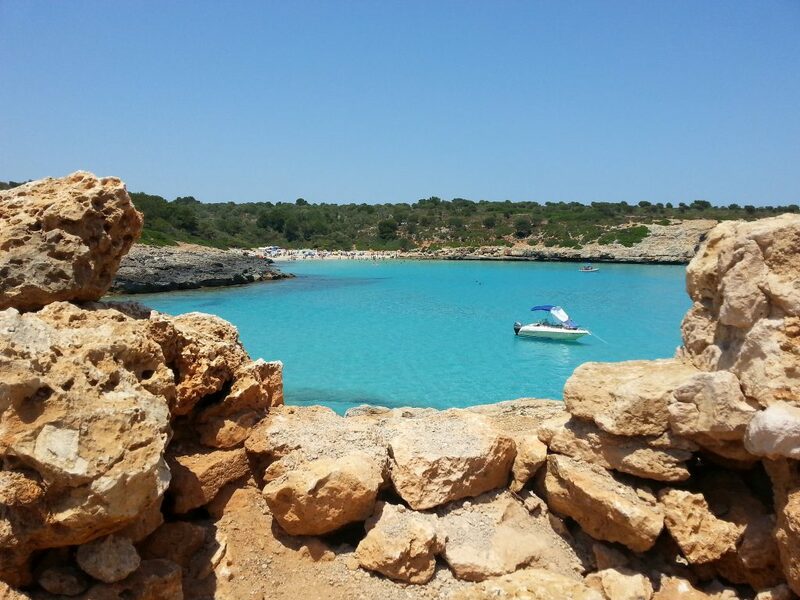 While wading across from Formentera at low tide is possible, this is hazardous due to strong undercurrents. Play it safe and hop aboard the little local ferry which operates from La Savina to the island, with the last shuttle returning around 5.30pm. People take advantage of the natural mud baths here, renowned for their alleged medical benefits, so expect to see a lot of nudists smothered in clay. Descending the precarious path down to this beach is a route well trampled for hundreds of years, by local fisherman as well as pirates and smugglers. The tiny stretch of protected shoreline has been carved out dramatically from the cliffs to form a natural harbour with spectacular views of the turquoise ocean beyond. Surrounded by pine-clad hills, this stunning beach is particularly hard to reach and only approachable by boat or on foot. There are no facilities at this remote location and this may hold the secret to why the white sand remains so pristine. For avid explorers, there is an entrance cavity in one of the cliff faces here that leads to over 500 metres of underground caves. A paradise accessible only to the physically fit, accessing Pedrera de Cala D’Hort means traversing an intimidating sand dune which becomes increasingly more complicated to scale. Previously a quarry, the shoreline has naturally occurring pools of clear water which are great for swimming and bathing. An utterly unique place, though take care if visiting during choppy conditions. Experienced hikers will enjoy the five hour route to Sa Colobra from Escorca through the extraordinary and wild Torrent De Pareis. The walk culminates with a rewarding stroll through tunnels that open up to the small but stunning pebble coastline. Spend a good hour or two cooling off here in the aquamarine sea, or find the adjoining and quieter sandy cove of Cala Tuent, before hopping back to Port de Sóller via boat or on the public bus back to the car in Escorca. 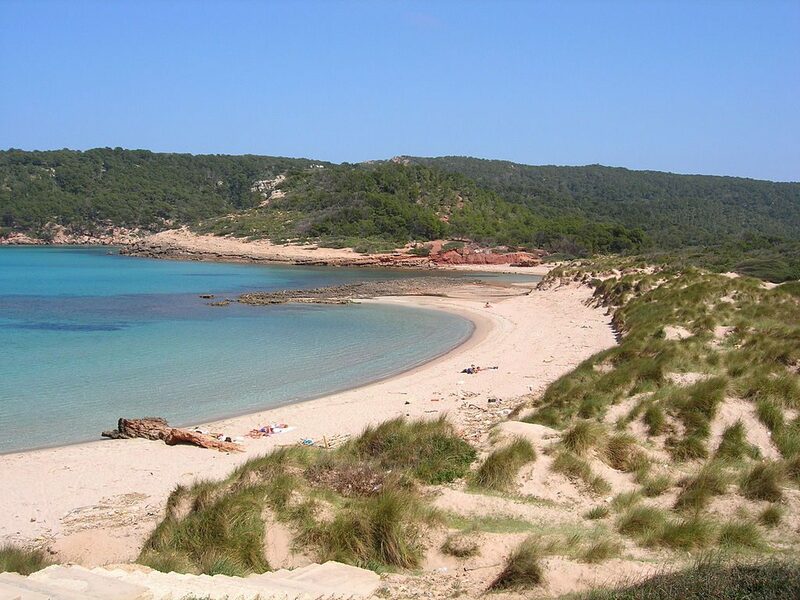 This long beach with reddish sand and dusky pink rocks lies on the tranquil north coast of Menorca. Lots of small islands protect this bay, so the sheltered water is very still and crystalline making it perfect for those with children. Although there is a restaurant on the adjacent Binimel-là beach, where you can park the car, do take some snacks and plenty of water as there are no facilities on Pregonda itself. With splendid views of Formentor, the Bay of Pollensa and an explorable rocky islet offshore that protects the bay from winds, S’Illot is the perfect spot for snorkelling. Follow a narrow pathway to the left of the beach car park to find a little-known secluded cove, with a teeming seabed under cobalt waters. Don’t forget to take a picnic and a towel with you to bask under the curtain of pines post-swim.